I’ve been a little MIA lately as I’ve been practically living in my classroom getting it ready for the new school year! While my mind is on fall and the start of school, the weather is still on summer time, with temps reaching in to the 100s. While I am excited to wear my boots and scarves, I am wanting to soak up every minute of the summer sunshine and my denim cutoffs! 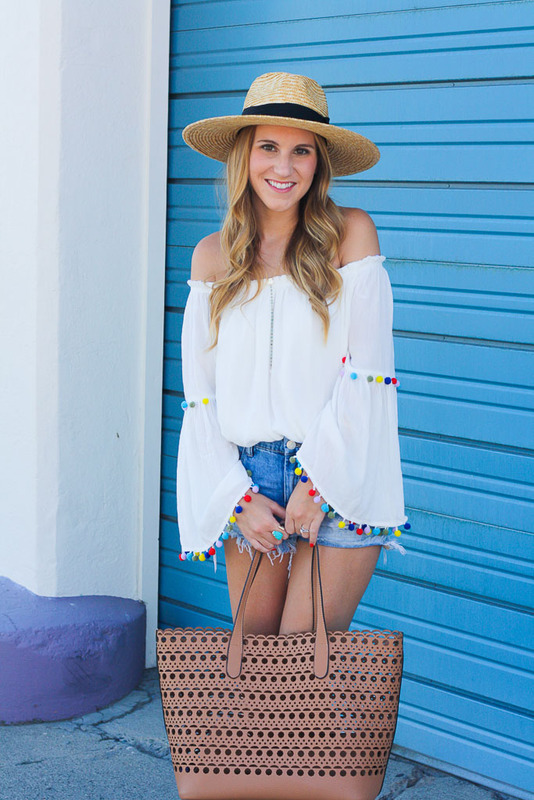 This sweet off the shoulder tassel top is my jam. It’s perfect for hot summer days and would also be perfect vacation wear! The best part? It’s currently on sale for under $8!! What a steal! Is there anything better than pompoms in the summertime? I am obsessed, and I mean OBSESSED with this top. 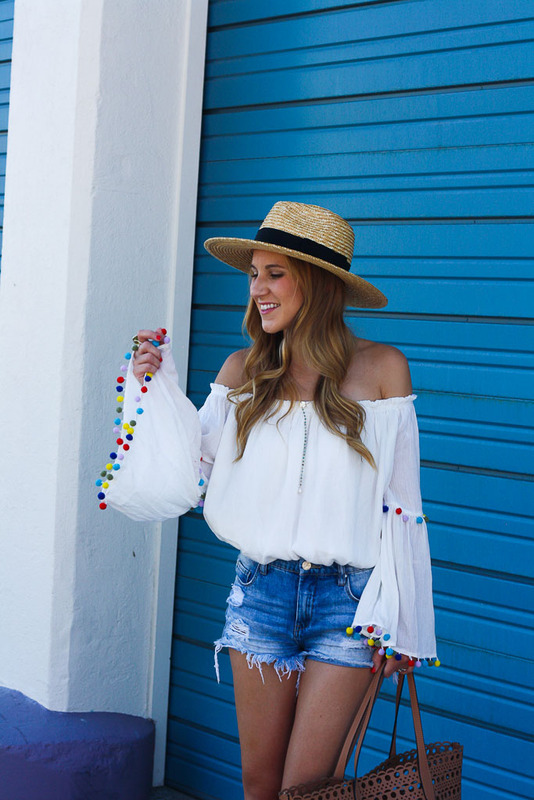 The adorable pompom detailing on the sleeves is such a fun touch that I can’t help wearing and re-wearing this sweet top! For those curious, I ordered a size small and it is a tad big, but I don’t mind as it is just long enough to be a cover up at the beach! PS Don’t forget to enter the Nordstrom Giveaway HERE!